Emeritus Professor Endersbee AO FTSE is a civil engineer of long experience in water resources development. His early professional career included service with the Snowy Mountains Hydro-Electric Authority, the Hydro-Electric Commission of Tasmania and the United Nations in South-East Asia as an expert on dam design and hydro power development. In 1976 he was appointed Dean of the Faculty of Engineering at Monash University. In 1988-89 he was Pro-Vice Chancellor of the University. His fields of specialisation include the management of planning and design of major economic development projects, water resources, energy engineering and transport engineering. He has been associated with the design and construction of several large dams and underground power station projects and other major works in civil engineering and mining in Australia, Canada, Asia and Africa. 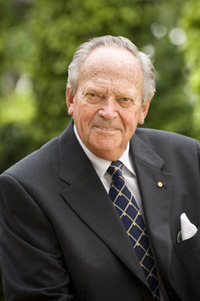 He was President of the Institution of Engineers, Australia in 1980-81.